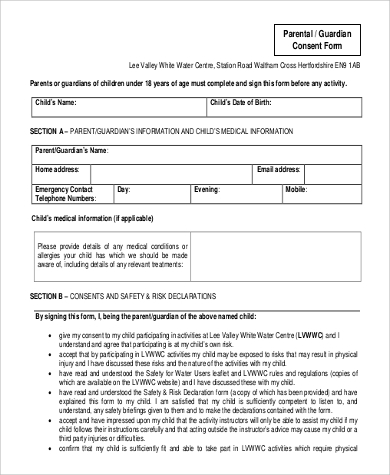 Parental consent is a legal act that requires parent’s consent or notification whenever a minor is asked to be involved in a certain activity. In most countries, such law is implemented as to prioritize the safety of any minors. 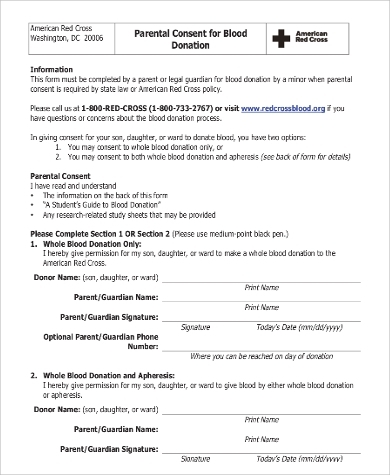 A parent consent form is usually handed out to give a legal approval for the minor to participate in a certain activity that is usually restricted upon them. 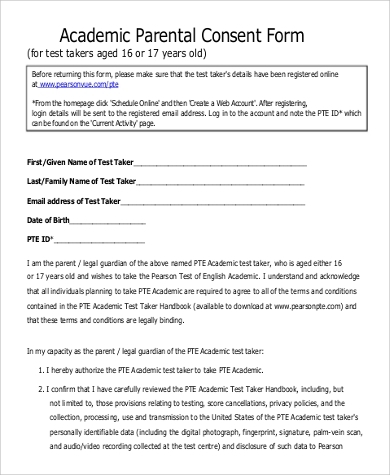 If you want to create one for your child, you can check out these 9+ Parent Consent Sample Forms that we have provided. The samples can be downloaded for free and can be edited. Parents should be notified where their child is going, because if something happens, let’s say, the child gets lost or will get involved in accidents, then the parents would know where to find their child. Same as what was mentioned above this list, however, if accidents occur, it would be easier for the parent to track down their child and take down for a treatment. In this state, faster resolution could save lives. We all know that the society really cares about the minor citizens, and if something ever happens to them, the parents are more likely to be blamed, because their children is their responsibility and everything they do should always be under their control. 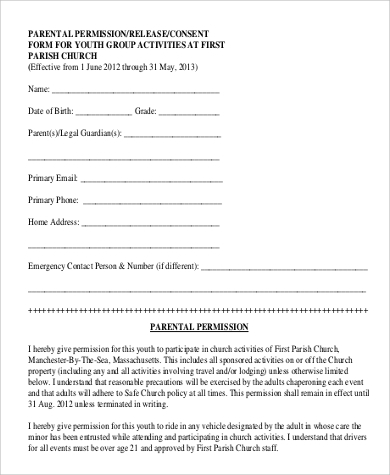 There is a law for this that whenever a child tries to engage any activity, it should have a signed parent’s consent form. 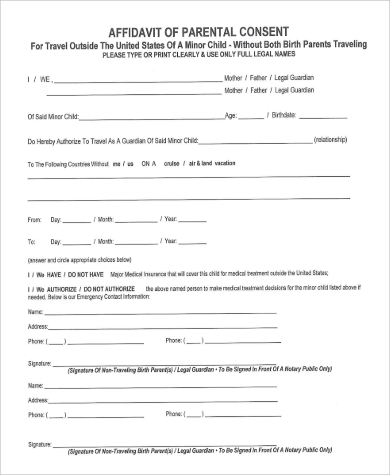 Minors need to have a specialized travel consent form whenever they travel on long distance. 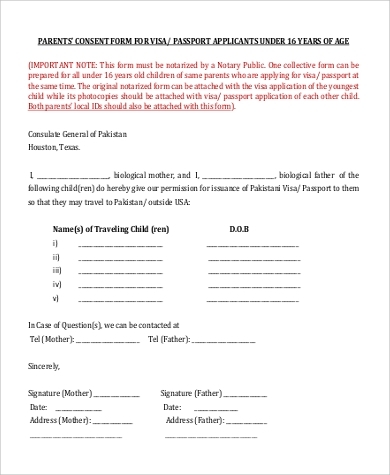 This type of form is usually applied on overseas travel or crossing a border. 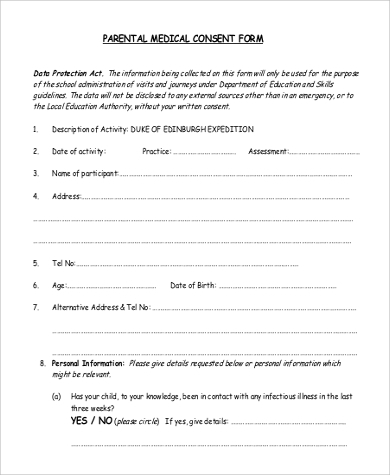 When a child needs to leave for school because he/she was sick, then this form should need to be submitted to school authorities such as the principal or adviser. 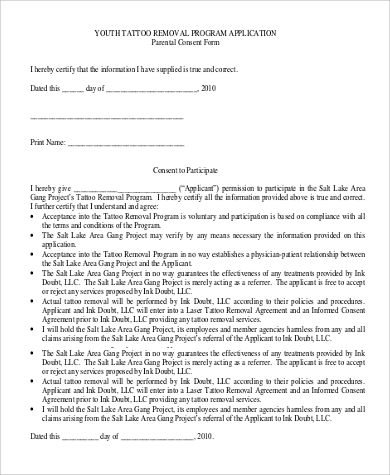 See More Sample Consent Forms. A parent’s right to to be informed and give approval before their minor child undergoes in a certain trip, may it be a field trip or any school activity that includes travelling. Not just schools, it may be any organization that has interest in engaging the minor child in the activity being held. A parent’s right to be informed and give approval when their minor child goes under any medical procedure, such as surgical operation. A parent’s right to consent when their minor child is going after a life-changing event such as marriage, even before the legal age of marriage. 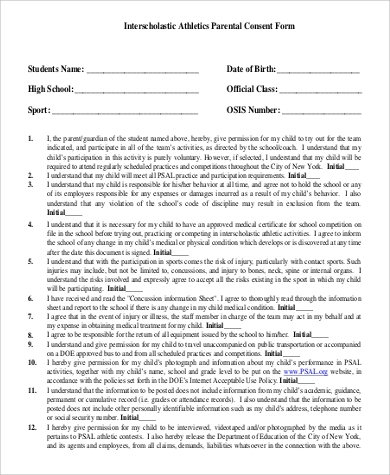 A parent’s right to be involved in their minor child’s education, including the right to consent on any school extracurricular activities such as outreach programs or field trips. 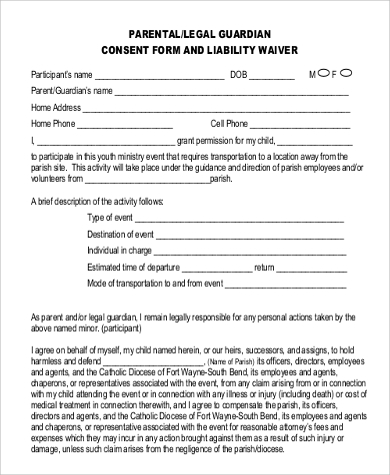 See Photography Consent Forms for those who want to capture photos of others and post them for public viewing.